Description: Bryce 7 Pro. 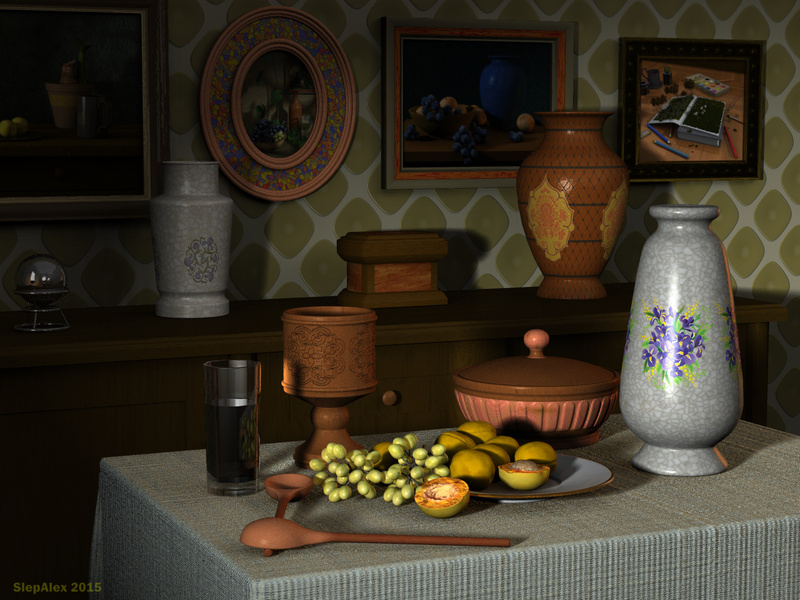 Render Regular AA, time 2:20:22. Lighting: Dome Light, Spotlight. The sun and the atmosphere is disabled. Background white. 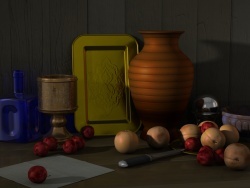 Another beautiful still life. 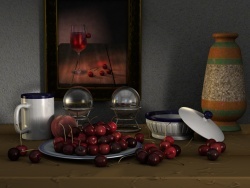 I like the four pictures on the wall, all beautiful still life made by you.